Video Gaming at Otakon is huge! If you thought our Video Gaming Hall in previous years was good, well you’re in for a treat since we have expanded it even more! We're filling an entire hall of the convention center with video games from all eras, classics you remember, current games you love, plenty of games straight from Japan, and games by Indie Developers! 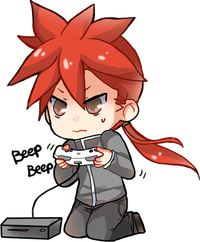 Show off your skills and compete against your fellow con goers in casual play or enter one of our tournaments.